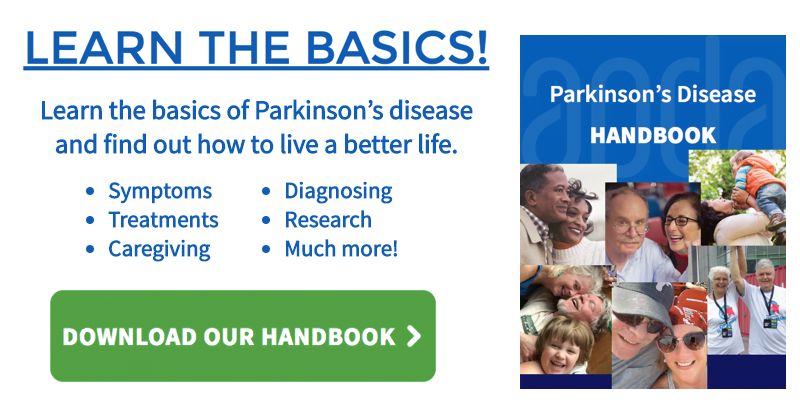 Fatigue in Parkinson's | American Parkinson Disease Assoc. No time to finish the article? Download the brochure as a PDF to take this information with you, or share with someone you know. Multiple studies in the United States and Europe show that about one-third of people with PD consider fatigue their single most bothersome symptom, even more than the motor symptoms of PD such as tremor, slowness, stiffness and difficulty with walking and balance. In addition, about one half of people rate fatigue as one of their three most bothersome symptoms. Fatigue in PD tends to develop early in the disease, usually in the first few years, if it is going to develop at all. It may appear before the onset of motor symptoms, and typically does not go away. It is not correlated with the severity of other symptoms—a person with only mild motor symptoms may have significant fatigue, and a person with significant motor symptoms may experience little fatigue. There is a large overlap between fatigue and other problems in PD, especially depression and sleep disorders. People with fatigue are more likely to be depressed and people who are depressed are more likely to be fatigued, but there is nonetheless a large group of PD patients who are fatigued but not depressed. Depression in PD typically responds to antidepressant treatment, and depression-related fatigue may improve with such treatment. Sleep disorders are common in PD and may contribute to fatigue. However, sleepiness is typically improved by sleep, whereas fatigue may or may not be improved by sleep or rest. Fatigue lessens the desire and ability to perform activities of daily living, to interact with friends and family and to participate in social activities. Researchers still don’t know what causes fatigue in PD. It is likely a combination of interacting causes, only some of which we understand and can modify. For many people, medications taken for the motor symptoms of Parkinson’s disease can worsen fatigue. Altering the regimen of PD medications can therefore sometimes help. Being in poor physical condition can worsen fatigue and for some people, exercise can improve fatigue. Because of the overlap of fatigue with depression and sleep disorders, treating these other non-motor symptoms of PD can be helpful as well. Some people find benefit from medications, such as modafnil and methylphenidate, although studies are not conclusive of their true benefits. At the clinic, be sure to routinely discuss your fatigue with your doctor, in the same way you report the severity of your other symptoms.